Are you ready for some football? 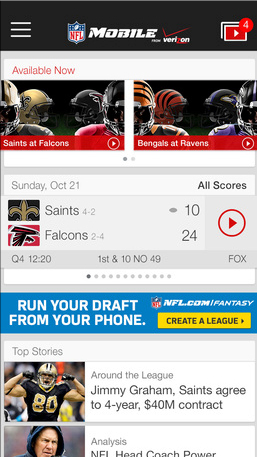 With just a little more than a month before the NFL season begins, a nice update to the NFL Mobile app has arrived. Most importantly, the redesigned home area lets fans access scores, live video, fantasy teams, and news from a single screen.